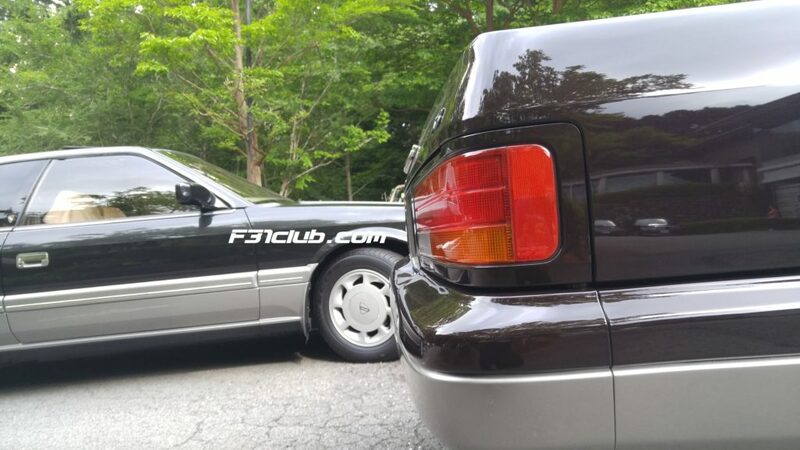 The US version Infiniti M30 and Japanese version Nissan Leopard (later term) share many exterior similarities. The M30 and the Ultima (3.0) share the same bumper. However, the lower trim levels (XS/XSII and XJ/XJII) have shorter front and rear bumpers. 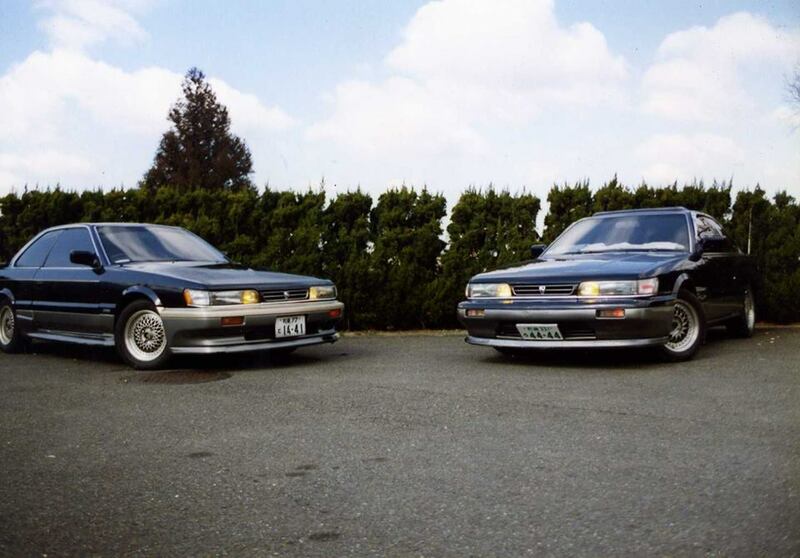 Since the US did not receive these 2.0 models, Americans did not know the differences. This has to do with size of the car for taxes they set in Japan. I was fortunate to see this in person and provided the pictures below for comparison. Credit: Kazuho and Hirohisa for the information. Body full length of 3,000cc (ULTIMA,M30) is 4,805mm. Body full length of 2,000cc (XS,XJ) is 4,695mm. Both the front bumper and the rear bumper are different in a shape. Here is an Ultima F31 (UF31) 3.0 bumper. It is the same as the US model M30. 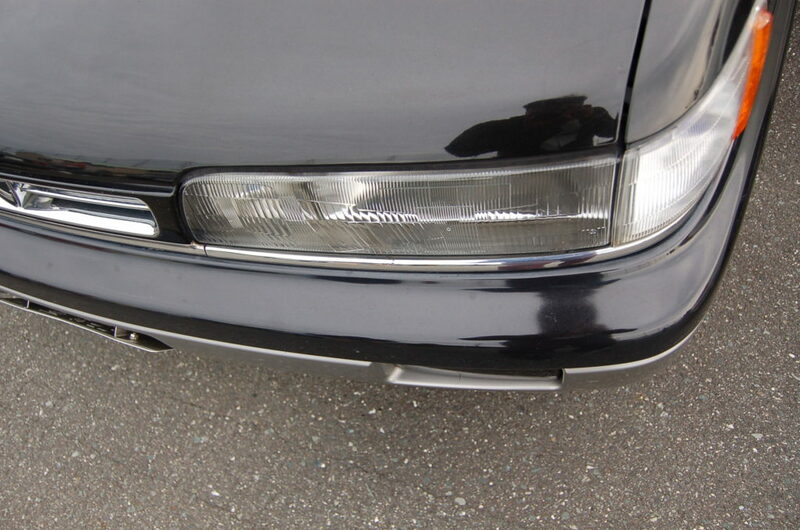 The distance from the headlight to edge of the bumper. I took these 2 pictures when I was in Japan for the leopard meeting for the purpose of this comparison. 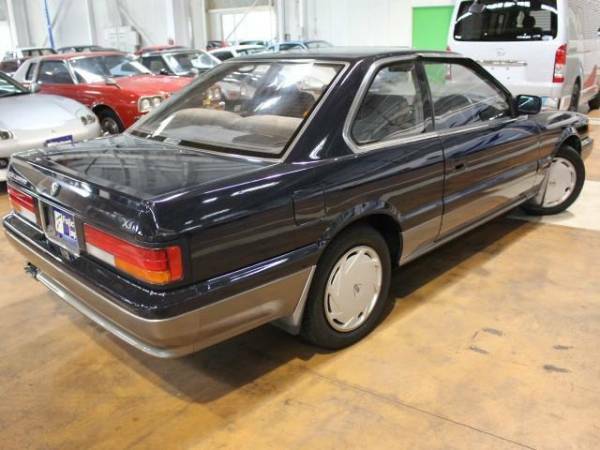 Additionally, the rear bumper is shorter as well. Here is the upclose of the bumper I took at the 31st Anniversary leopard meeting. 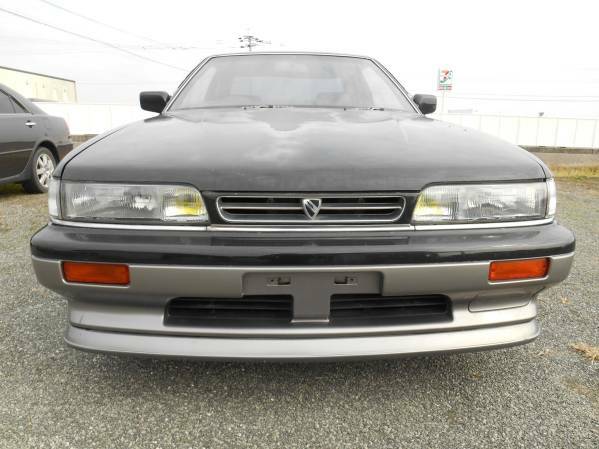 The XS/XJ trim is for the VG20DET models, the vent on the bumper is for the intercooler. 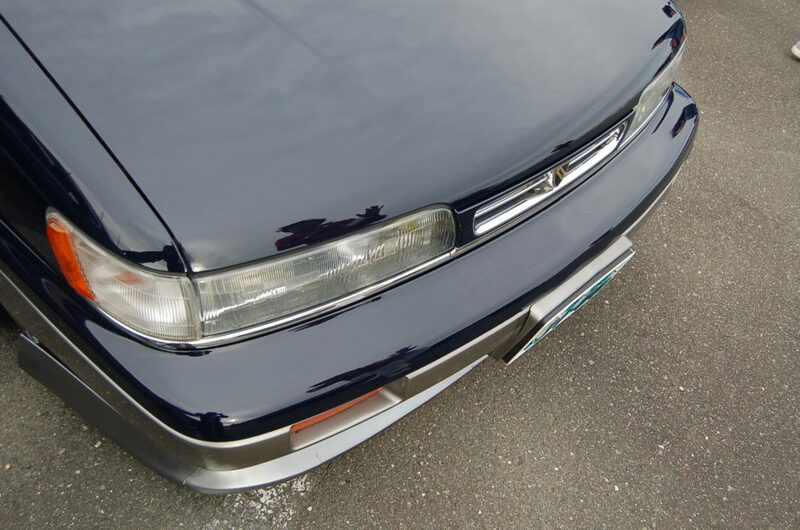 The bumper is often called “the turbo bumper” because of the vent made for the intercooler. Kazuho mentioned that the rare part is the vent cover. The vent was made for the 2.0 models that were non turbocharged. People threw the vents away and eventually they became hard to find. Below is a picture of the vent cover of the intercooler opening. 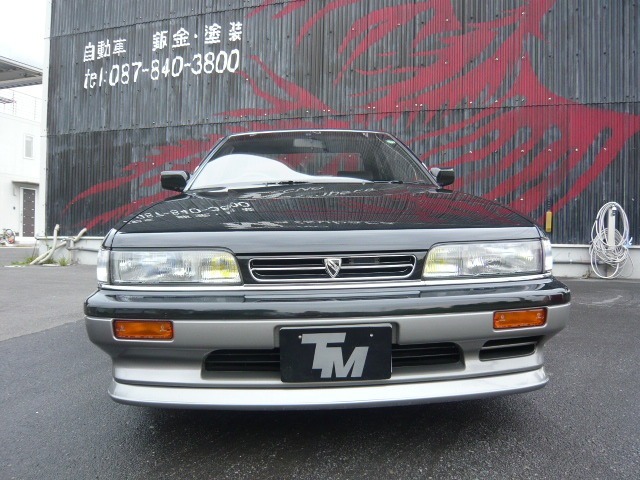 This topic was brought up because people wanted to know what front lip worked and people were finding GF31 bumpers/lips and didn’t know if the worked on US spec M30s. 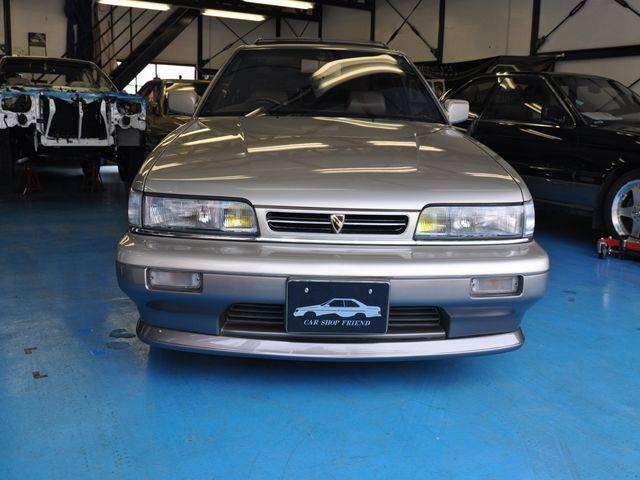 This entry was posted in parts and tagged bumper, kouki, leopard, m30, ultima, xj, xs.